An experienced thoracic surgeon with skills in the management of cancers and leadership ability is sought to assist lead the Thoracic Surgery Department in a new hospital shortly to open in Tianjin, China. The hospital is an international highly specialised oncology facility integrating prevention, treatment and rehabilitation. It will be put into operation in June 2019 with an initial investment of RMC 600 million. It has a floor area of 43,00 square meters housing 200 beds (including 8 Intensive Care Unit beds) and 18 departments including Medical Oncology, General Surgery, ENT, Thoracic Surgery, Orthopaedics, Urology and Gynaecological Oncology. Each department will be lead by clinical experts from around the world. Oriental in design, it will incorporate the best use of medical techmology, education and expertise from around the world to help relieve the pain of tumour patients. The Deputy Director of Thoracic Surgery will be responsible to the hospital director and, together with the Director of Thoracic Surgery will provide leadership and direction to the surgical staff . Additional management qualifications would be advantageous and an interest in medical technology essential. Enthusiasm and drive to establish this hospital as a leader in cancer care combining ethical treatment with advanced medical standards and profitability. 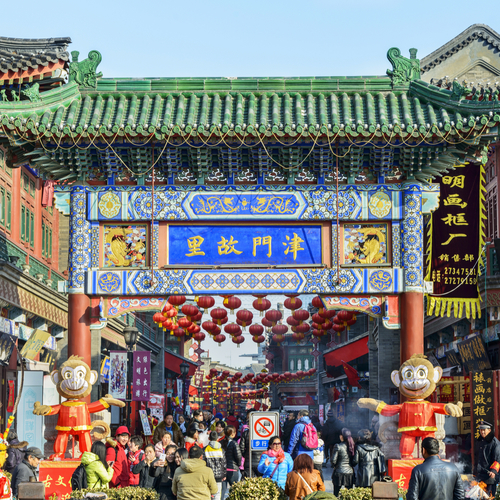 Tianjin is a northern coastal city with a population of over 15 million. It is one of the 4 major cities of the PRC coming after Beijing, Shanghai and Guagzhou in size. It has a wealth of nineteenth and twentieth century European architecture amidst modern buildings and is a major industrial and commercial city. If you are interested in this role, or similar roles, please apply with a recent CV.